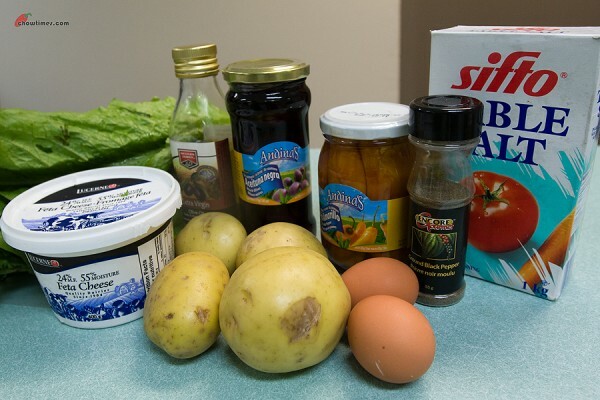 Due to the great response to the home canning workshops organised by the Richmond Food Security Society, Arzeena and Karen decided to hold three more workshops on home canning. This time, it’s home canning apple sauce as it’s the season for apple harvest. The apples we used were donated by various sources which include groceries stores and people’s backyard who has planted apple trees. 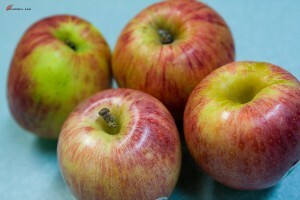 You dont have to use perfect apples, just trim off the bruises. Applesauce is a great snack especially for kids and babies. It is also a good substitute for fat in baked goods. Substitute half of the fat in baked goods for a reduced fat diet. It is not advisable to substitute all the fat in baked goods as the result will be denser and chewier and not as tender as those baked with fat. 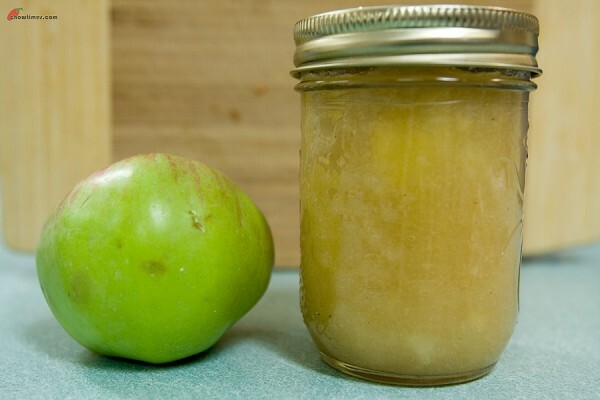 To use the applesauce to substitute for fat, the applesauce must be of a thicker consistency. Applesauce can also be used as a savory glaze on poultry. Season the applesauce with thyme or rosemary and salt. Glaze on roast chicken about half way through the roasting time. 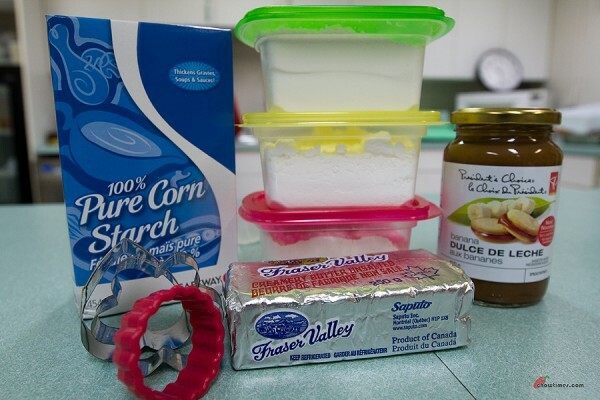 A thicken applesauce can also be used as a filling for cake like swiss roll or used as a spread for your toast. I have a piece of the pork jowl left in my freezer. I decided to use it to stirfry with green beans for the vege dish for dinner. Ben’s requirement for dinner is a meat dish. a vegetable dish and a soup. This is a very simple stirfry dish. 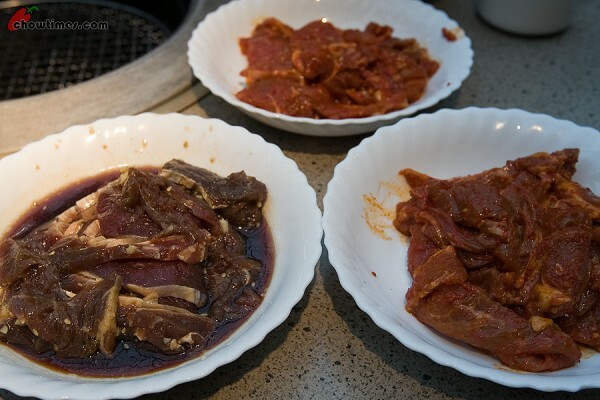 You can use other meat like chicken to substitute the pork jowl. Add a few tablespoons of water and cover to simmer for another 5 minutes or until the green beans are tender. 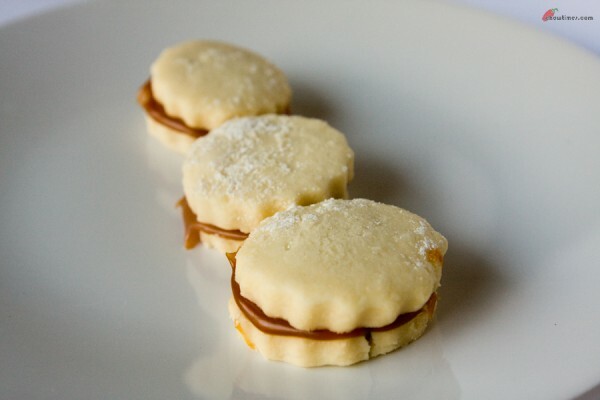 The last item which Erika shared with us is a cookie filled with dulce de leche called Alfajor. Erika made this cookies for his son’s school party and it was a hit. Many parents asked for the recipe. Dulce De Leche is a caramel like spread that can be made by simmering sweetened condensed milk in the can for hours. But, we are very lucky that we can find them in jars in Real Canadian Superstore for about $3. The Dulce De Leche Cookies (Alfajor) is very delicate and they just melt in your mouth with the caramel sweetness lingering in the mouth. I enjoyed the cookies very much as I have sweet tooth. 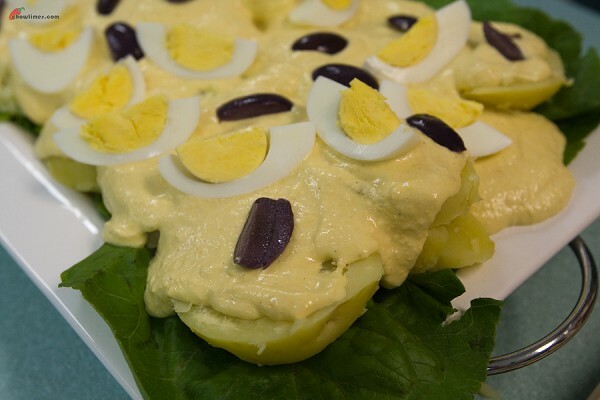 The second dish which Erika shared with us is called Potatoes Huancaina Style (Papas a La Huancaina). 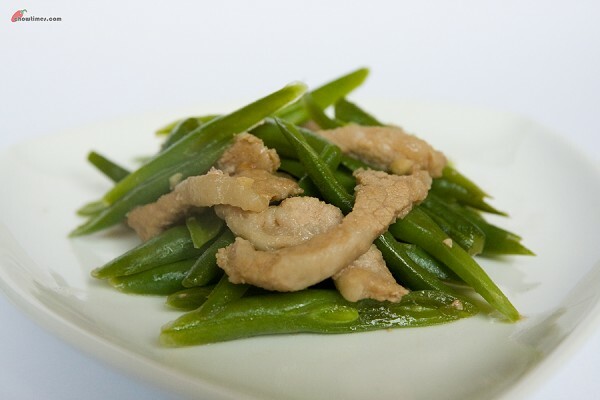 It has a few similar ingredients as in the Chicken in Aji Sauce recipe. You can kill two birds with one stone for these dishes, i.e. 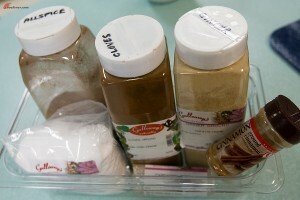 prepare 2 dishes with common ingredients which helps to reduce preparation time. The Potatoes Huancaina Style is relatively salty because we use feta cheese. You can reduce the saltiness by using a mixture of ricotta or cottage cheese with feta cheese. 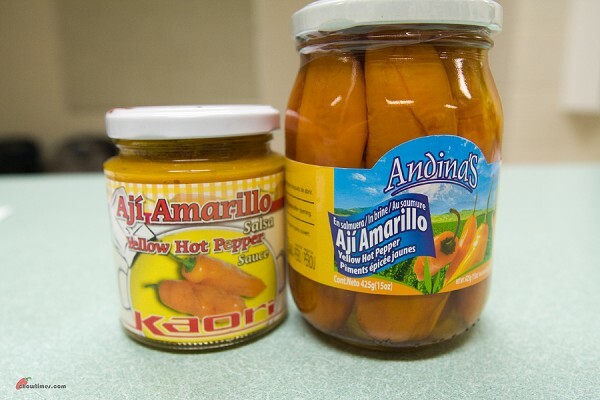 For this recipe, Erika used the Aji peppers in whole in a jar. Under normal circumstances, canned peppers tend to be hotter than fresh ones. Erika shared with us tips on how to reduce the heat of the peppers, especially if you are serving the dish for children. For those who cant find the aji peppers, you can replace it with sweet yellow peppers. Erika Pereyra is a relatively new member of the South Arm Community Kitchen. We were glad that she’s sharing some of her favourite Peruvian dishes in the South Arm Community Kitchen. Erika shared with us that Peruvian cuisine has lots of influences from Spanish cuisine. 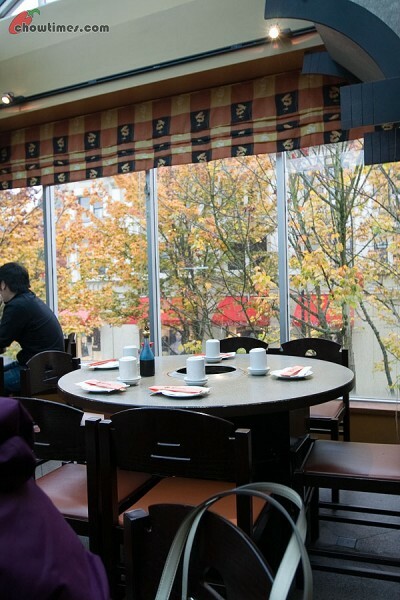 One can also find a lot of Japanese and Chinese restaurants in Peru. I bet you will never guess that Peruvian Cuisine has one of the most diverse in the world and is at the same level of cuisines of the Chinese, Indian, French and Spanish. Lima, the capital of Peru, is referred to as the “gastronomic capital of the Americas”. The video above on Peruvian Cuisine is a bit long but I find it interesting that the country of Peru is so rich in gastronomic heritage. 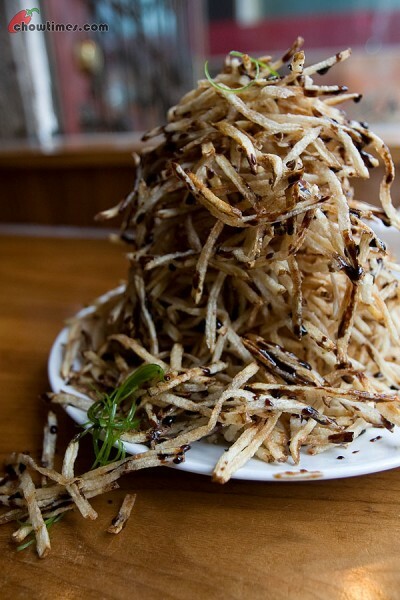 Did you know too that Peru is home to about 2000 types of potatoes? Peru accounts for 40% of all potato varieties in the world. 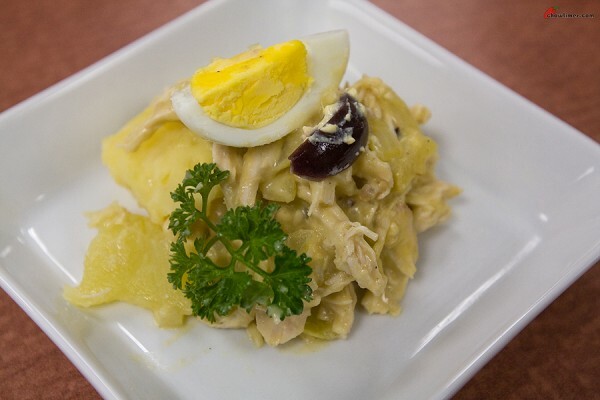 The first dish which Erika shared with us is called Chicken in Aji Sauce (Aji De Gallina). Aji is a kind of pepper, also known as Peruvian hot pepper. Street food is the pits in Vancouver. As far as I know there are nothing but hot dogs that are allowed on the streets. It is kind of sad right? 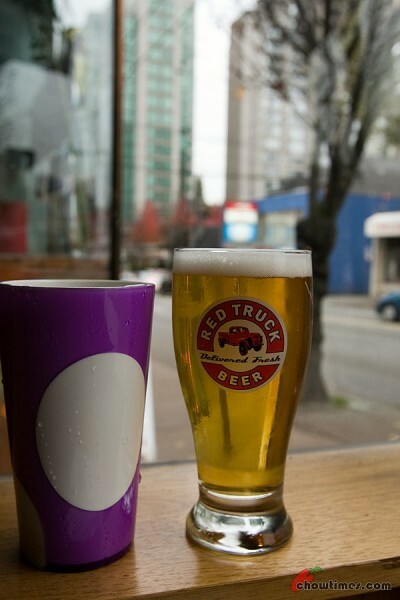 With such a cosmopolitan population, there are so much potential to make Vancouver the mecca of street food. Already we are probably one of the best in terms on ethnic cuisine in North America but for street food, it is the pits … with one exception. Despite this limitation imposed on street food vendors by the city health authorities, we do have something that we could be proud of. When Anthony Bourdain came to Vancouver, the one thing he chose to feature was Japadog (wind to the 7th minute of the youtube above). 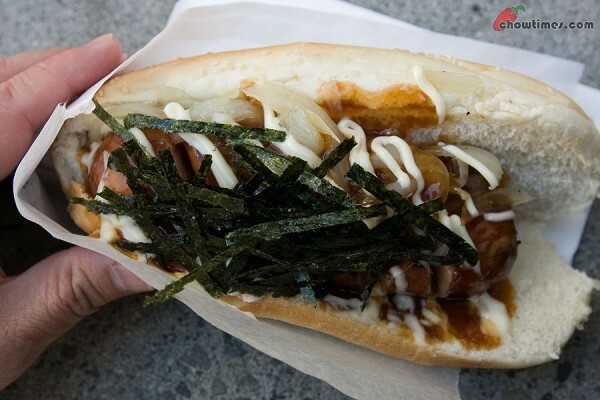 I might be wrong but I think Japadog is uniquely Vancouver. 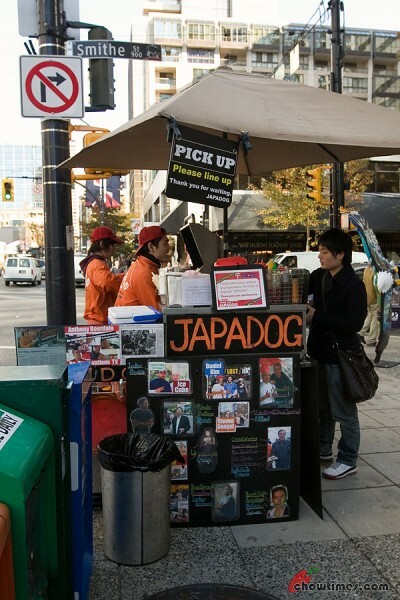 Japadog started off with a storm at the corner of Burrard and Smithe in downtown Vancouver. Back then, the long queues were a spectacle. There were people who would stand in line for 30 minutes just for a hotdog. When I was there recently, there was no queue. Maybe it was because they were forced to move across the street due to ongoing road construction at their usual spot and not many of their regular customers were aware if it. 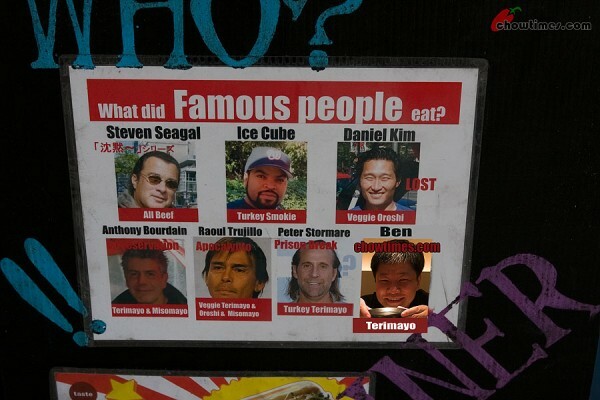 Besides Bourdain, there are quite a number of famous people who had tried Japadog. They proudly display their famous fans’ pictures on their cart and what they ate. Bewildered by the many combinations, I decided that that I won’t go wrong with their most expensive item on their menu — the Kurobuta Terimayo. 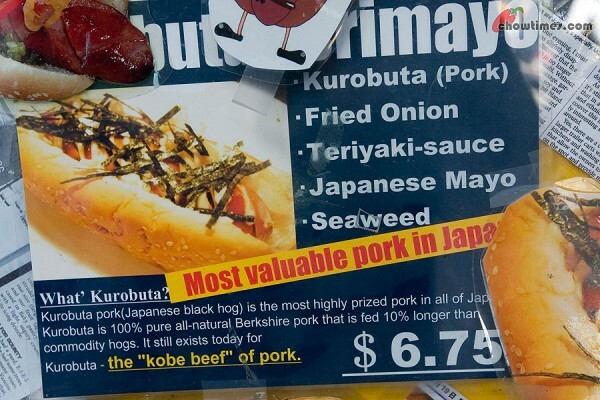 Kurobuta is described as the “Kobe Beef” of pork. According to Wikipedia, Kurobuta is listed as vulnerable because their are only 300 breeding females. Hmmm … I learn new things everyday. That is how we would describe this Friday dinner we had recently. 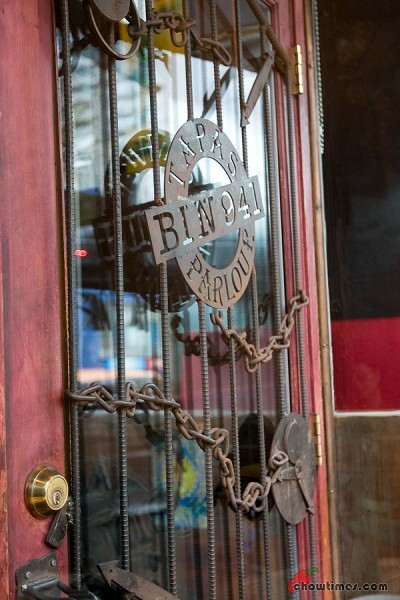 We had heard so much about the Bin 941 Tapas Parlour … read a number of reviews about them. We never thought it would be our kind of place. Reviews after reviews pointed out their loud music … and that it is dark … and that it is dingy. 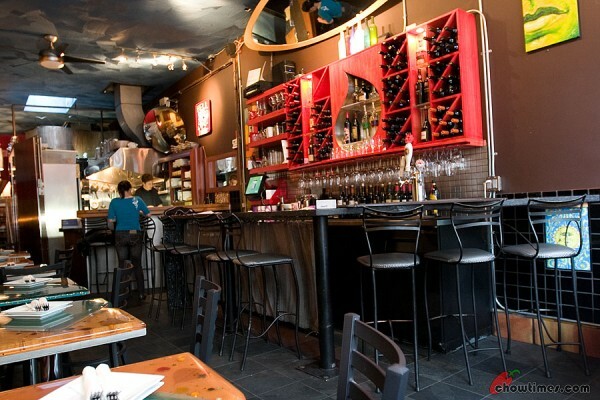 Looking at Bin 941 from Davie just off Burrard, you will probably give this place a miss. With rusted looking frontage and just next to a pawn shop, what would you expect? 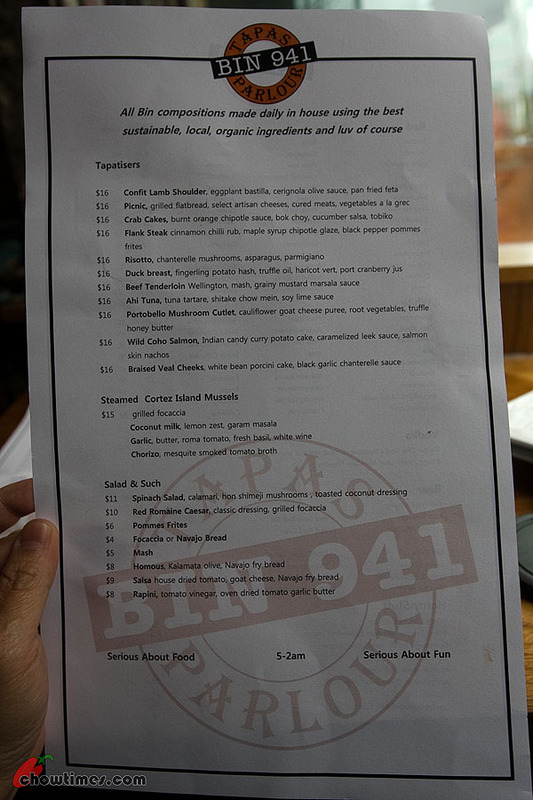 We walked passed by Bin 941 many times. We did not think much of them. It is cramped. And really small. If you had not known better, you would probably call this a hole in the wall. There are only tables lining one side of the restaurant … really small tables. Put on a couple of plates and drinks, there is hardly any room left for anything else. The rest of the seats are at the bar. Regardless, people tell me that the food is great. So I called ahead in the afternoon trying to make a reservation for a table for two. Well, they said that they DON’T take reservation. They told me that if I wanted to be sure of a table, we got to be there early. They open at 5PM for dinner. Only dinner, no lunch. They close late too. Real late … like 2AM. So we went early. Too early as a matter of fact. It was 15 minutes before opening time. We just walked in because it was cold and windy at that time. Guess what … they shoo’ed us out! Where is the compassion?!? It was frigid cold out there. So we waited outside. It was awkward to say the least. At this point, we thought this whole place is a bad idea. After 5 minutes, they came out and beckoned us in. “Sorry” they said. They added that it will be a few more minutes before they can tend to us. Fine by us. We were not in a hurry. Got a drink. Beer on tap for me — $5. Suanne’s is just water — no charge. The drinks menu is just dominated by wine and beer. Certainly no bubble tea here for Suanne. This place wasn’t that bad. The music was not loud. Certainly not discotheque loud as a reviewer claimed. The place kind of grew on us. Being the first customer that night, we snagged that great little table by the window. It was cramped with hardly any legroom to move. But it was a fantastic window seat to enjoy the food … a cosy private little corner of our own … and watching the world go by. It is people watching at its best. Their menu is just a 1-pager. Very simple. Every single item looked great. The menu said “Serious About Food” … “Serious About Fun”. They are right … Suanne and I had great food and we had fun too. You will see. The waitress asked if we were here before. “Nope” we replied. She wanted us to know that they serve the meal one dish at a time. The concept is sharing. We like that. Anyway, between Suanne and I, we had ALWAYS shared our food. We ordered their Pomme Frites. It was only $6. 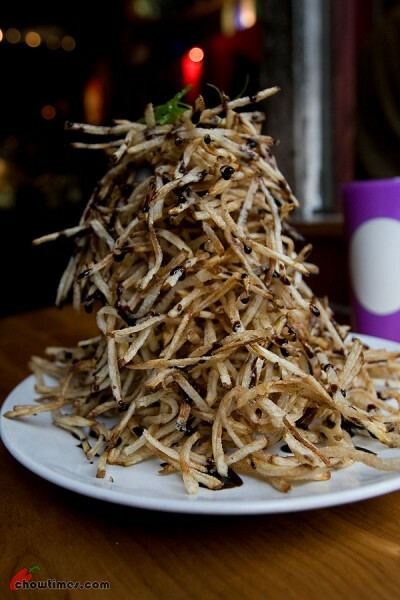 I had never had a taller pile of fries in my life. It was at least 6 inches tall, maybe 7. We have no idea how they managed to pile it so high. No ketchup necessary. It was drizzled with Balsamic Vinegar. The shoestringy fries very crisp. It was great. Simply some of the best we ever had. Updated: 4th April 2011: This restaurant is closed according to Urbanspoon.com. The last time we had Japanese AYCE (all-you-can-eat) was 7 months ago. That was when we went to E-Bei. 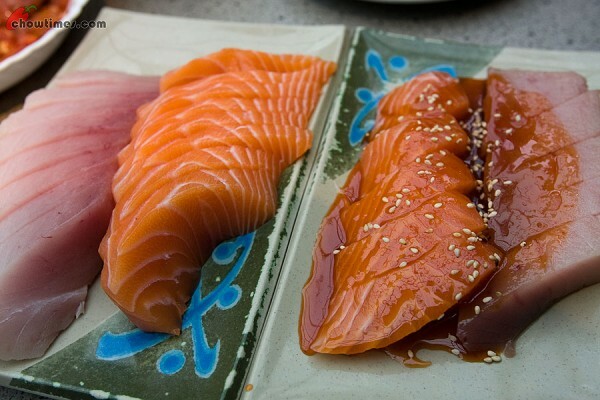 As much as Nanzaro and Arkensen love Japanese sushi, the reason why we had not gone to one more often is because Suanne just doesn’t like raw fish, period. But Shabusen Yakiniku House is different. It is both a Japanese AYCE and a Korean BBQ AYCE. 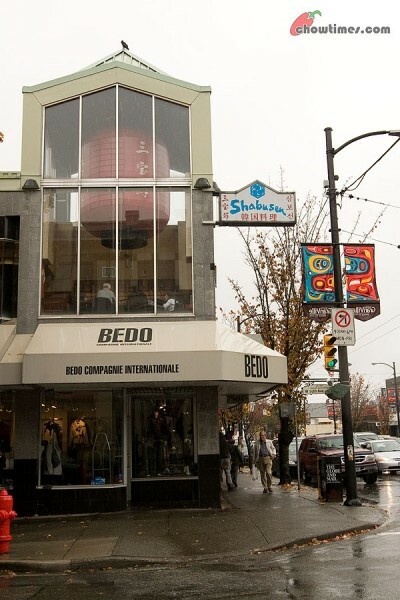 There are two Shabusens in Vancouver. There is one in downtown Vancouver. We went to the other one on Granville. 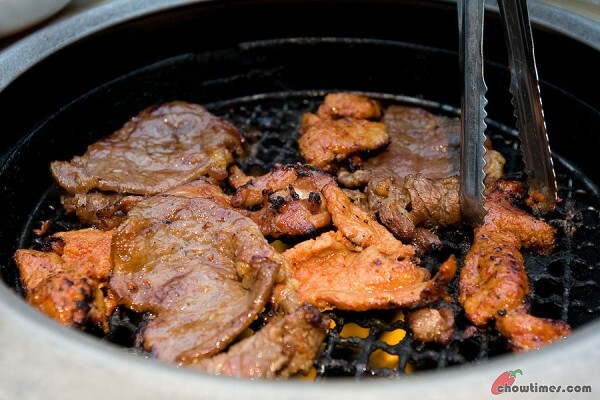 In case you don’t know, the word Yakiniku means grilled meat in Japanese. For an AYCE, Shabusen looks a lot posh and better than all the other AYCEs we had been to. The whole place is bright with lots of ceiling high windows and skylights. It was actually a beautiful day eating here despite the it being rainy the whole morning. The Fall colors looked so good at this time of the year. Every table had a gas grill in the center. That is for the Korean BBQ. See the bottle above? That is the BBQ sauce but really, we hardly need to use that because the meat were already very well marinated. Service was kind of slow here. The waiters and waitresses seems to walk around with their eyes peeled to the ground all the time. It is as if they are afraid that if they get eye contact with the customer, they will have to do more work or something. It was so hard to get their attention when we wanted something from them. The AYCE is $13 for weekdays and $13.50 for weekends. Dinner is is $22. The selection at a glance looks a lot smaller than places like Kingsway Sushi and E-Bei. 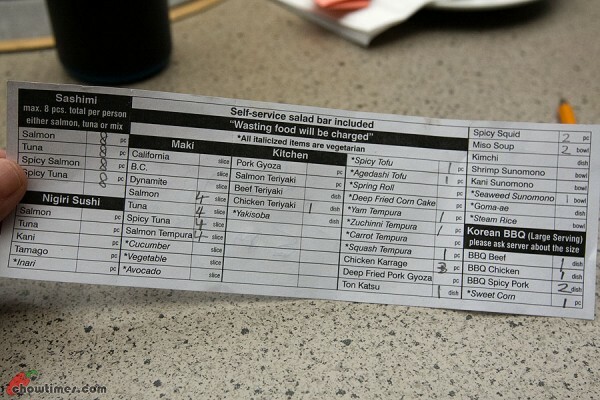 The above was our first round order where we max out our order of Sashimis. We left these 32 pieces to the boys. These alone kept them very happy. For Suanne and I, we were quite contended with the Korean BBQ. There are three choices … chicken, beef and pork. In our greed, we ordered a total of EIGHT plates of BBQ meat. That was way too much and we had a difficult time finishing all of them. We did not feel good about wasting food. For once, I was the one who did all the cooking. Oh yeah, believe it or not [giving myself a pat on the back]. BBQ is a guy thing for some reason. Suanne was happy to let me do all the work while she enjoys my cooking. In my usual style of getting overly excited over new discoveries, I am going to cut to the chase and say this — this is one Taiwanese restaurant that cannot be ignored. 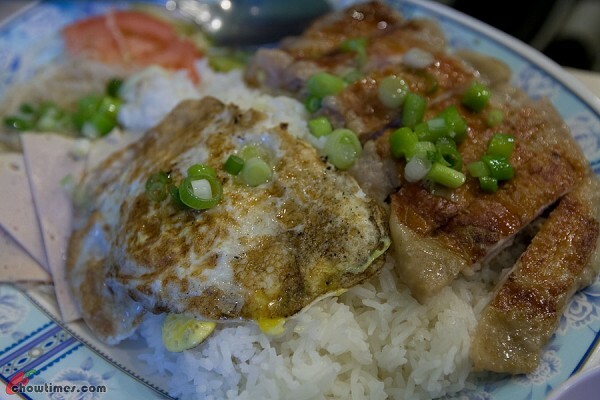 If you like Taiwanese food, you should check it out for yourself. We like it and we were impressed. The Sunway restaurant is located at the Empire Square. This is the same strip mall where Hon’s and Shiang Garden is on No 3 Road. 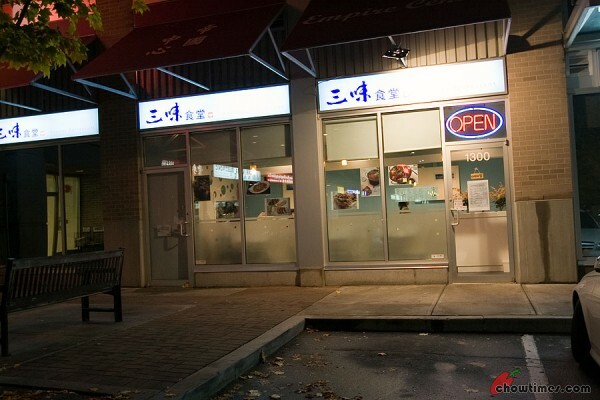 They are situated at the same place where Richmond’s Legendary Noodles used to be. I personally felt this particular location is bad because it is on a blind spot to most people driving around this mall. The Sunway restaurant is small but bright. The waitress was friendly and cheerful. She does look a lot like Bjork, no kidding except that she speaks Mandarin. Since she was so helpful, we took the opportunity to ask her about the restaurant. She told us that they had been opened for over 3 months already. The chef was from Taiwan in a city outside of Taipei. She also told us that they take their cooking serious and uses the best of ingredients and that they do not use MSG, baking soda or tenderizer in their kitchen at all. We were quite impressed how excited she was with her sales pitch. Seriously, all this was said BEFORE we fished out our camera and notebook. So we know she did not put this up because we were going to write about them. 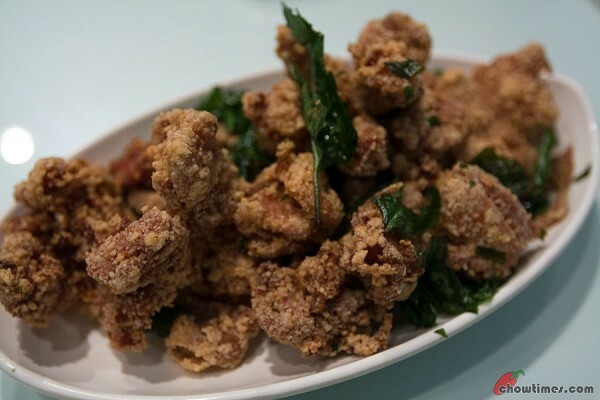 Our favourite is what they call Deep Fried Pop Chicken. This is like the good Salty Peppery Chicken that we tried just a few days before at Beefy Beef Noodles. The serving is larger than we expected because it was listed as $4.25. We thought it was just an appy size. 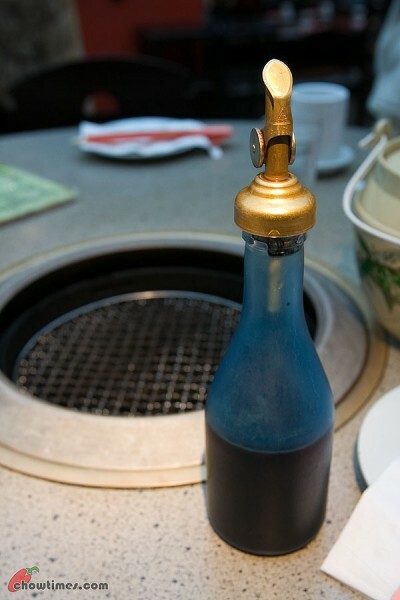 When it was brought to our table, we could clearly smell the aroma. They don’t serve this with a dipping sauce. 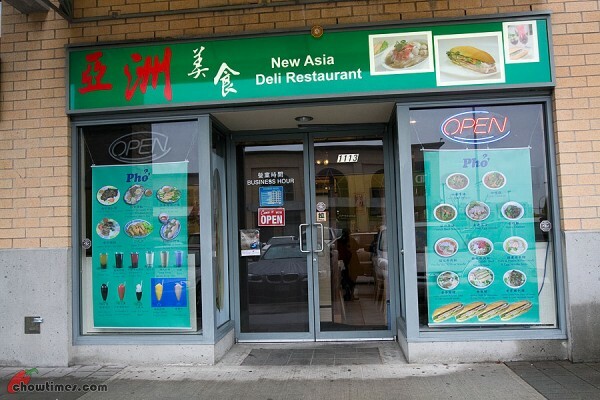 I heard a lot about New Asia Deli but we had never eaten there before. Word has it that they used to operate a small but popular place near Richmond Center before moving to this new bigger location. The New Asia Deli is located at the Continental Mall. This is the same mall where there are a number of our favourite restaurants such as G-Men Ramen, Pearl Castle, Taiwanese Cuisine, and Lam Chu Kee to name a few. 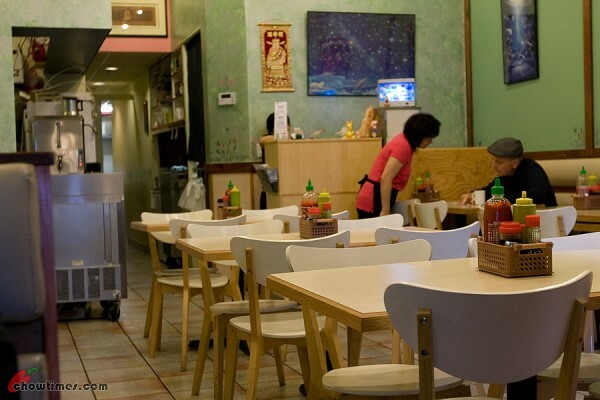 They describe themselves as serving Vietnamese and Asia Pacific cuisine. 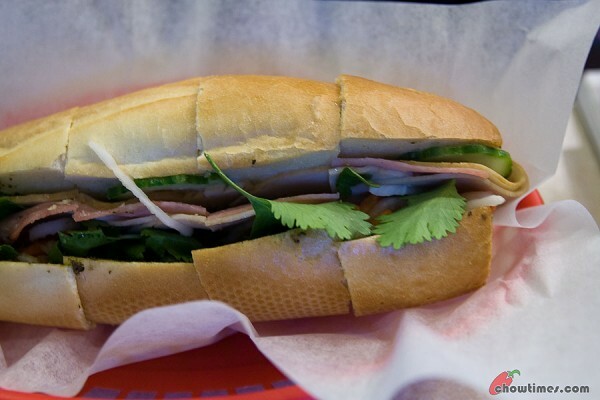 Their claim to fame is their Banh Mi which some people swear are one of the best in Richmond. 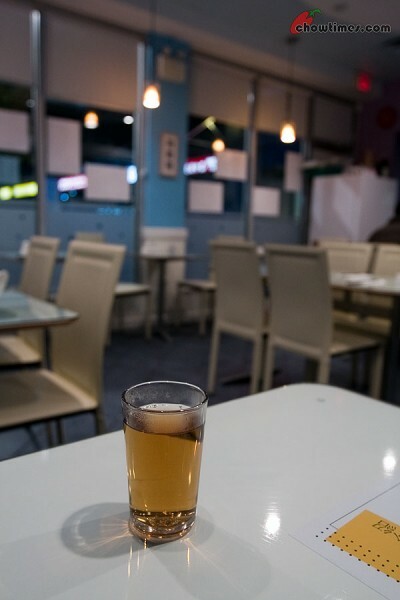 New Asia Deli is a no frills restaurant with poorly coordinated decor and simple furnitures. For all intents and purposes, I would classify this as a hole in the wall. Other than that, the service is friendly and warm. They speak fluent Cantonese which makes me think not only that they are not Vietnamese, they are actually one of the many ethnic restaurant operated by enterprising Chinese owners. Not that this matters much to us as long as the food is good. Despite seeing that we each ordered our own dishes, our waitress even asked if we wanted bowls for sharing. That was thoughtful of our waitress to suggest it. Suanne ordered their Special Baguette which is just $3.75. The baguette was what one would expect from a good Banh Mi with the necessary crunchiness. The fillings are ham with some fish cake like stuff. It also had cucumber, carrot and pickled daikon. While the baquette was good, we wished that they had more stuffings in this. You know, I must say that for a person his age, Nanzaro is quite adept in picking his dishes. He is the one who really reads the menu from cover to cover and is always the one who takes his sweet time deciding what he wanted. This time, his selection was called the Combination on Rice B which is $9. His choice turned out to be a really mouth watering dish.